Today morning my laptop was showing issues with connecting to my home WiFi. 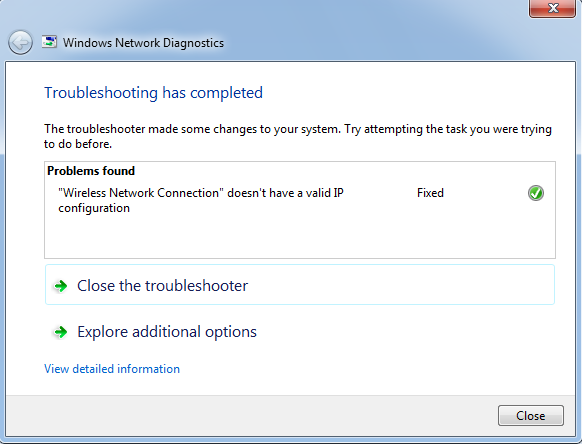 While checking for the reason, Windows Network Diagnostic showed an error message "Wireless Network Connection" doesn't have a valid IP configuration. This laptop was working fine with the same WiFi in last week but today refused to connect to the same. Since there was no proper connection between my router and laptop, Autoconfiguration IP address (APIPA) was assigned to it. This tutorial is based on the troubleshooting steps I have done today to solve the problem. If you ever face this issue, I hope this guide will help you to fix it. This guide is divided into two parts where the first part explains automatic Windows Diagnostics. The second part is for those who couldn't fix the problem using automatic diagnostics. 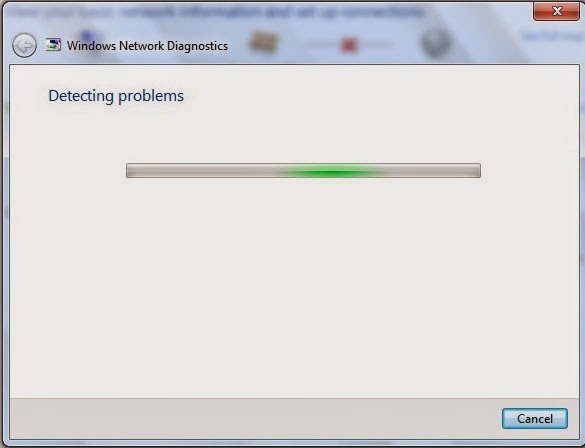 Microsoft has an inbuilt tool called 'Windows Network Diagnostic', which can automatically detect and fix most of the connection issues. I suggest you start it before going for any other manual procedure. To start it, follow the steps below. Here Red colored X is situated between network symbol (SysToSys) and Internet icon. It shows the connection between your computer and modem is fine but something is wrong between modem and ISP. If the process is a success (if you are lucky), you will see a message box like the one below. If you are not lucky to see the message, Windows couldn't fix the issue automatically, you may need to perform the following steps. Before doing this step, I recommend you to double check if you have the correct wireless key and SSID. The address should be in the same network range of your DHCP server. Right click on the Wireless adapter on Network and Sharing Center. Choose disable and wait for 2 minutes. Once two minutes are over, turn on it back. If your computer is blocked by the wireless router by blacklisting its MAC address, you will see connection issues. This step you can do only from the router side. I recommend the following tutorials to learn more about it. If you are seeing the error "Wireless Network Connection doesn't have a valid IP configuration" even after following all the steps mentioned, I suggest you perform a complete power cycle. Read the article mentioned in the link below to learn more about it.